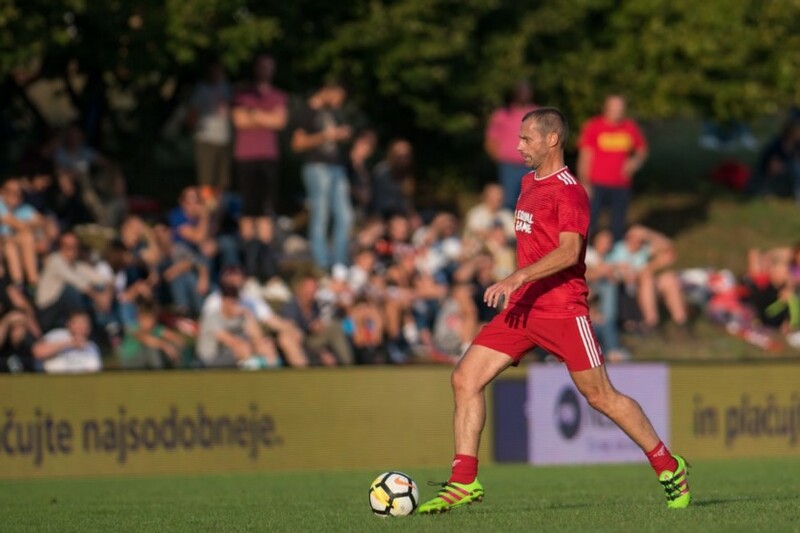 In the small Slovenian village of Bilje, home to just over one thousand inhabitants, two teams prepared to take the pitch: one representing Common Goal, the other Equal Game — with both sides made up of a mix of veteran Slovenian players, international legends and other notable football names. 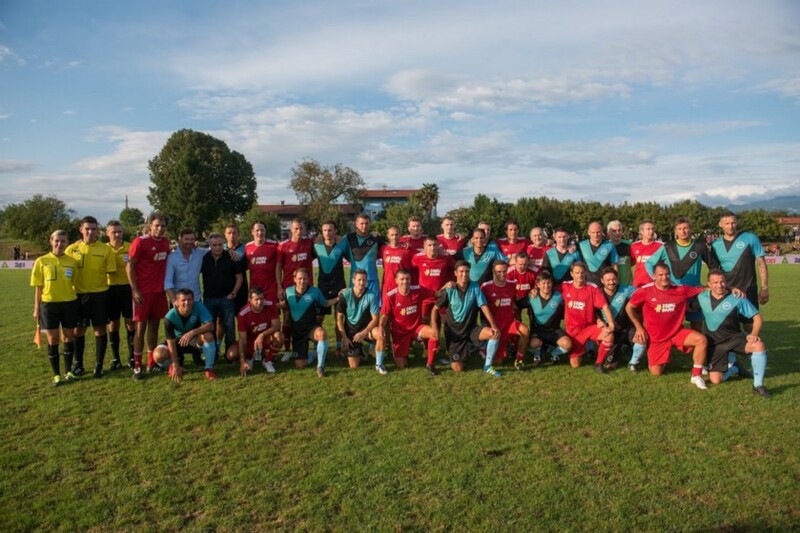 Organised by UEFA president, and Common Goal member, Aleksander Čeferin and hosted by Slovenian side ND Bilje, the game was played for the benefit of Common Goal and Zavod Vozim — a Slovenian charity dedicated to establishing preventative programmes tackling road traffic accidents and youth substance abuse. On show was an astonishing array of talent. Legends of the game, with countless honours to their names — from World Cups to Ballon D’ors — that added up would put most club sides to shame. As the game approached, heavy rain and thunderstorms were the order of the day, and fears increased that the weather would perhaps put a damper on the event, or worse, put the game at risk of cancellation. Thankfully, fortune favoured all involved, and with kick-off fast approaching, the clouds broke and set the stage for a wonderful game of football. With the attacking talent of Robbie Keane, Dimitar Berbatov, Gaizka Mendieta, Nuno Gomes, Toto Schillaci and Alessandro Del Piero lining up for Common Goal facing off against an Equal Game team with a defence consisting of Frank de Boer, Ricardo Carvalho, and Nemanja Vidić — spectators knew they would be in for a treat. They say, “form is temporary, class is permanent” — well, all involved showed that to be true. The years were rolled back as players showed all the talent that made them among the best in the world: from a simple drop of the shoulder by Luis Figo, wrong footing an opponent, to Nemanja Vidic reminding everyone why he was the nightmare of strikers all over the world for almost a decade. As the game began and the crowd of almost 4000 watched on in anticipation. With all the attacking talent on the pitch, surely the first goal would come from a familiar source; perhaps a deft chip by Del Piero? A jinking run by Figo? A silky touch from Berbatov? Rather, it would come from an altogether less likely individual, though one crucial for this day to come together — Aleksander Čeferin, the President of UEFA for the Equal Game team. Never a professional player himself, the former lawyer turned football executive was the one to break the deadlock. Lining up in the opposite goal for Common Goal was the equally unlikely figure of Borut Pahor, serving President of Slovenia. Standing at a striking 1.87m with an athletic frame, however, President Pahor looked every bit at home amongst the ex-pros. 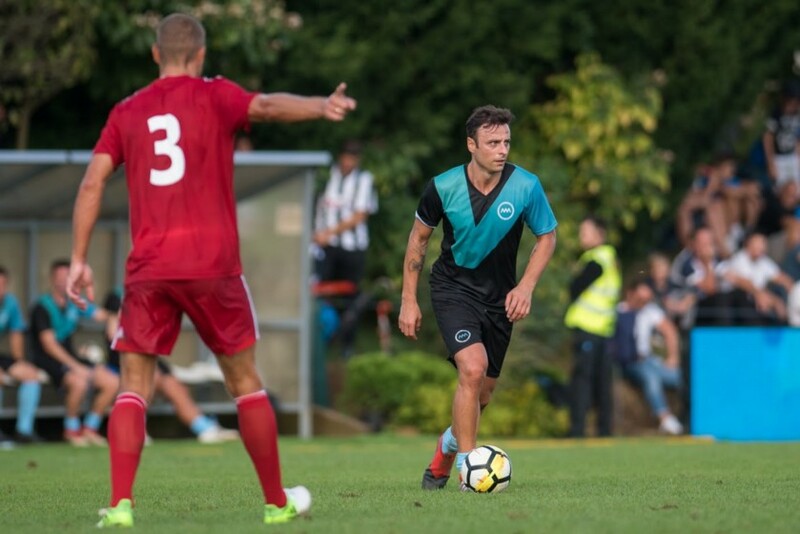 Sandi Valentinčič — manager of host side, ND Bilje — capitalised on his home advantage and doubled the scoring, to put Equal Game two up. 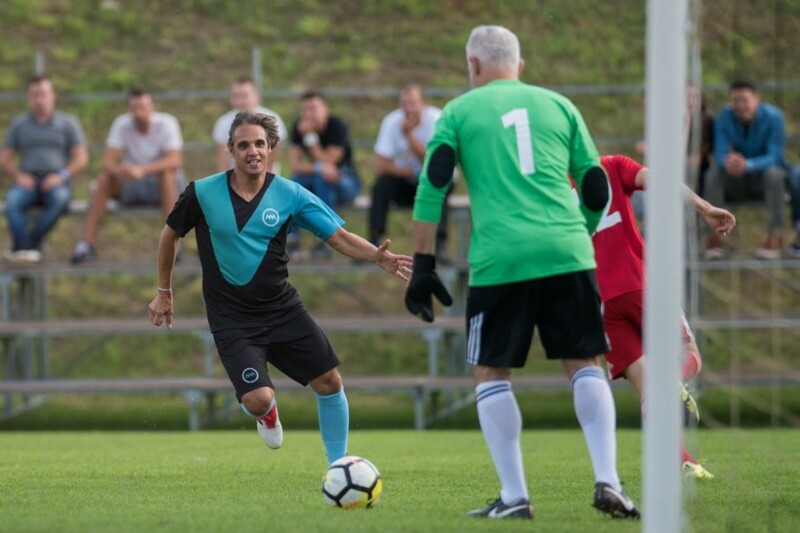 Luis Figo, Milivoje Novaković, and Pierre van Hoijdonk would go on and add to the scoring before Alessandro Del Piero fired home a second half consolation, to make the final score 6–1 to Equal Game. As the game came to an end both sides retired to their dressing rooms, enjoying the facilities at the V Dolinci Stadium, usually home to ND Bilje of the Slovenian Second League. 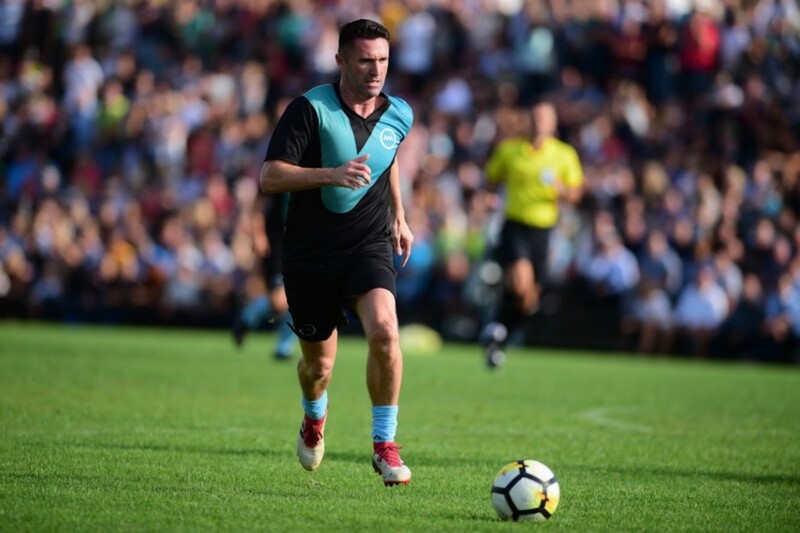 Nonetheless, there were smiles all round, and soon the players and fans were mingling to their mutual pleasure — a far cry from the usual distance enforced between them. After leaving the ground, the players then went on to a dinner with a select group of fans. 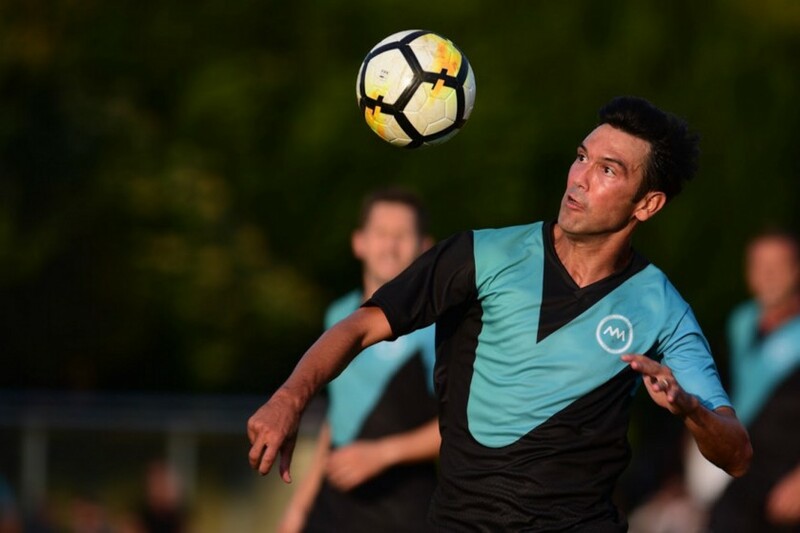 Over a meal of local food and plenty of drinks, the players had a chance to catch up with each other — some old teammates, others old rivals — swapping stories about the good old days to the delight of the fans lucky enough to be in attendance. As the sun set on the September afternoon, everyone involved could be happy with a job well done. 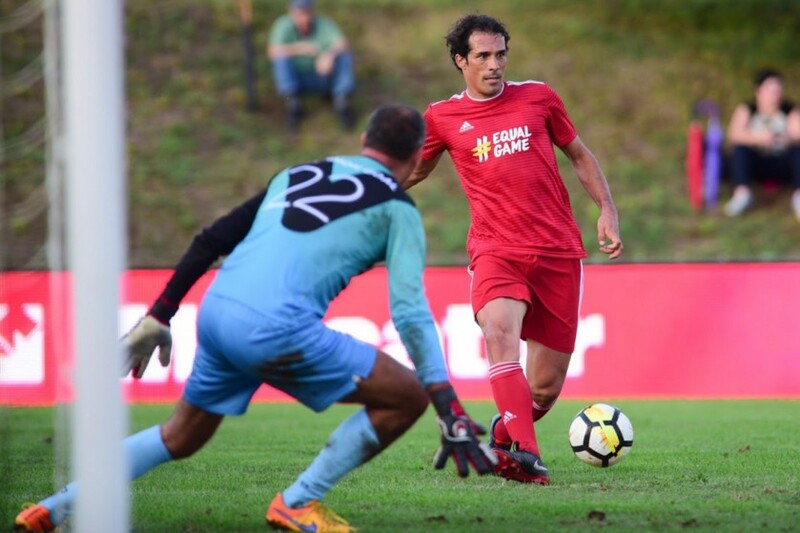 While Equal Game ran away with the win on the pitch, in truth, it was a win for all involved as tens of thousands of euros were raised for both Common Goal and Zavod Vozim.